Iran's controversial nuclear program is the latest battleground for the country's fierce political foes - the powerful, yet unelected hard-liners and reformists who back Iran's popularly elected president. Hard-line clerics, who have railed against the U.S.-led assault on Iran's atomic agenda, want Iran to reject an Oct. 31 U.N. deadline to prove its nuclear program is peaceful. They are also calling for Iran to withdraw from the Nuclear Nonproliferation Treaty. Reformists are pressing for Tehran to comply with international demands and allow U.N. inspectors unrestricted access of any site they wished to visit in Iran. So far, Iran has given only vague answers on whether it will meet the deadline to sign a protocol allowing the inspections. If it doesn't do so, it would mean a further blow to reformist President Mohammad Khatami's grip on power and could cause even more international isolation for Iran. Concerns that Iran may be developing a nuclear weapon have brought a rare alignment between the United States, Europe and Russia - which have long differed sharply on how to deal with Iran's Islamic regime. President Bush and Russian President Vladimir Putin on Saturday urged Iran and North Korea to abandon suspected nuclear-weapons programs. Still, at the end of two days of talks with Mr. Bush in Camp David, Putin gave no indication he was willing to pull back from an $800 million deal to build a power plant in southern Iran. Mr. Bush has pressed Putin for two years to abandon the project, and the U.N.'s nuclear agency, the International Atomic Energy Agency (IAEA) said last week it had found new evidence that Iran is enriching uranium. A top reformist lawmaker in Iran, Mohsen Mirdamadi, warned in remarks published Saturday that delaying on the nuclear issue was forging international consensus against Iran. "I think our policy of procrastination over the nuclear issue is not correct," said Mirdamadi, who heads the National Security and Foreign Policy Committee at Iran's parliament. "Our behavior has effectively brought Europe and the United States, which have had different positions, closer together. We are gradually creating an unprecedented global consensus against ourselves," he told the reformist daily Yas-e-Nou. Mirdamadi is a close Khatami ally and a leader of the Islamic Iran Participation Front, Iran's largest reformist political party. But a hard-liner close to Ayatollah Khamenei, who has the final say on all state matters, insisted, "We should protect our dignity and sovereignty and not give in to coercive diplomacy." Hossein Shariatmadari, who manages the hard-line daily Kayhan, said Iran could not be forced to accept the NPT and should withdraw from it altogether. He also said Iran should ignore the Oct. 31 deadline and restrict access to its nuclear facilities. "The deadline is illegal and a threat to our national sovereignty," Shariatmadari told The Associated Press on Saturday. "It's a plan, similar to the U.S. plan against Iraq, seeking the fall of the Islamic establishment in Iran." Iran says its nuclear program aims to produce electricity, not weapons. 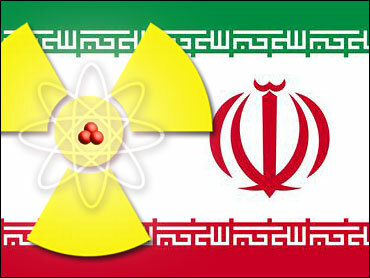 The United States and other Western countries, accusing Iran of seeking to develop weapons, have been pushing the IAEA, to find Iran in noncompliance with the NPT. Saber Zaeimian, Iran's Atomic Energy Organization spokesman, told state-run radio Saturday that IAEA inspectors are expected to arrive in Tehran Thursday to continue ongoing efforts to clear up questions into Iran's nuclear program. The trip, initially scheduled for Monday, was postponed on Friday upon a request from Iranian authorities, an IAEA has said. Iranian hard-liners appear to be seeking public support for the opposition to the U.S.-led campaign. The hard-line elite Revolutionary Guards have displayed several Iranian-made missiles in public squares in Tehran in an apparent show of military strength and opposition to international pressure. Political analyst Saeid Leylaz said if Iran accepts the additional NPT protocol, it will stop the EU from siding with Washington's policy of isolating Iran. "Iran's policy of procrastination is meant to win concessions but it didn't work," he added. "... At the end, I believe logic will prevail and Iran will sign before the deadline expires." When asked Saturday if Iran will meet the Oct. 31 deadline, Iranian atomic organization Zaeimian said: "We will fulfill our obligations. We will make our decision when it's necessary." Zaeimian said Iranian scientists were still working on nuclear projects and that the uranium enrichment plant in Natanz, central Iran, was nearing completion on schedule.